Bayhorse offers a variety of top-quality wood and poly swing sets, wood play sets and playhouses to create the ultimate play area for children of all ages, encouraging imaginative play and joyful exercise! With swings, tube slides, cabins, castles, sailing ships, monster trucks and storybook playhouses, there is something to delight just about anyone! Bayhorse doesn't just sell top-quality playsets and accessories, we also offer top-notch service after the sale to ensure that you and your children enjoy years of fun together. 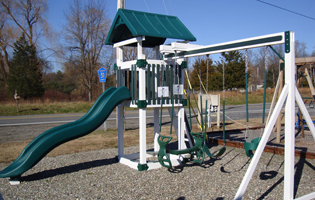 If you need something right away, take a look at our In-Stock Swing Sets and In-Stock Playhouses to see what we available available on our lot. 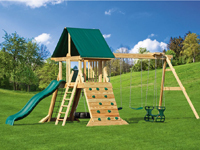 We also have a wide range of custom order Wood Play Sets, Poly Play Sets and Playhouses. 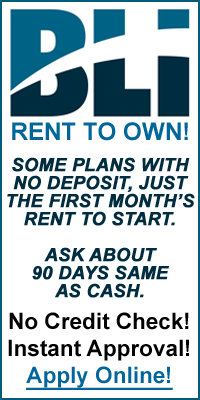 Own one of our play sets with a two-year BLI Rent-To-Own agreement. There is no security deposit and just the first month's rent to start. 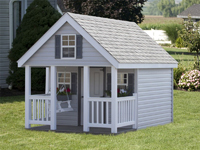 For playhouses choose an optional three-year agreement with a lower payment and a small security deposit. No credit check. Instant approval. Ask about 90 days same as cash! Find out more and apply online today!